We know that “The fastest horse wins the Guineas; the luckiest the Derby – and the best horse wins the St Leger” but in 1939 we were denied the final classic. Blue Peter was certainly the fastest at Newmarket, he might even have been a tad lucky at Epsom, but would Pharis II had beaten him at Doncaster? Pharis II was a son of Pharos out of Carissima by Clarissmus. The impressive black colt grew to 16.2 hands and possessed a calm temperament. Owned by Marcel Boussac, Pharis was placed in training with Boussac’s private trainer, Albert Swann. Charlie Elliott, as Boussac’s retained jockey, would wear the orange jacket, grey cap colours aboard Pharis. 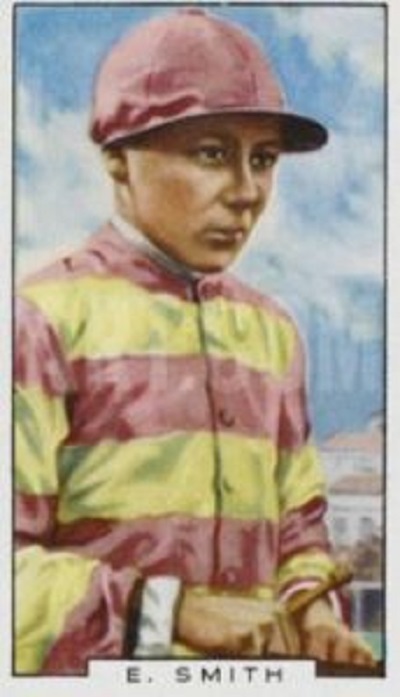 Elliott had been apprentice and stable jockey to Jarvis, who considered him, by the age of 19, “the equal of any jockey in the world”. A fortnight later, Pharis‘ next performance was an equally dramatic win in the Grand Prix de Paris (15 furlongs) at Longchamp, on heavy going. Settled at the back of the 20-runner field, with two furlongs to go, Elliott found himself boxed in behind some of the weakening runners and clipping heels, Pharis stumbled. However, as soon as an opening appeared on the rail, Elliott, sent him through and Pharis flew home, winning by 2 ½ lengths and 2 lengths from Tricameron , winner of the Ormonde Stakes, and Etalon Or, with Allegory fourth and Galérian fifth. The Captain Boyd-Rochford trained Hypnotist was the only English representative and was well beaten. Not only was Pharis the champion of France, but he was being compared with “The Avenger of Waterloo”, Gladiateur. Originally published on the National Heritage Centre for Horseracing & Sporting Art‘s Blog, and reproduced with their permission. Part two can be read here.